Crown cupcake wrappers for father's day! Yes, Made from CHOCOLATE! My father loves desserts as much as I do, and is always thrilled when I bake for him. 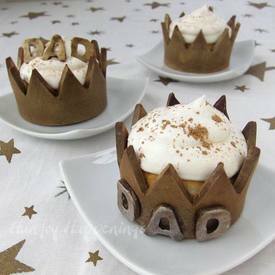 Like most dads, he enjoys feeling like he’s the king of his castle, so I felt these crown cupcakes would be the perfect Father’s Day treat.